The speakers comes with LEDs that feature six patterns to choose from and the speakers come Bundled with a Wireless Karaoke Mic and can be remote controlled. 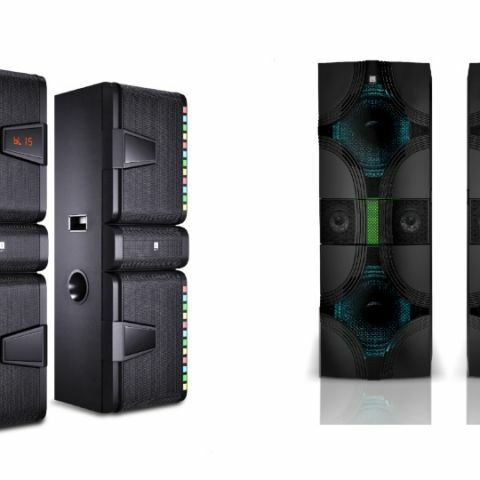 iBall has launched two new tower speakers in India, the ‘Twin Tower BTK’ and ‘Tall Sound H9’, which are priced at Rs 17,499 and Rs 19,999 respectively. The devices are available for purchase via retail stores. iBall, a brand known for its innovative and latest technology products, strengthens its Audio Portfolio; in sync with its plans, the brand announces the launch of 20 new products, across the Audio category in the span of next 3 Months in the coming festive season. The first of the series being the Tower Power - ‘Twin Tower BTK’ and ‘Tall Sound H9’ which are twice more powerful when it comes to the serious business of SOUND. With its studied styling and unique LED lights, both these Tower Speakers bring an edgy roughness balanced with style. The speaker delivers symmetrical sound with a wonderful balance between hefty bass, smooth mid range and a nearly tangible sense of space. Clearly, it is everything desired from a Tower Speaker. Aimed at Party enthusiasts, the iBall Twin Tower BTK speakers is equipped with the powerful 160W RMS Power. With its strong sound technology, the speaker comes with Dual 7.62cms (3) Satellites and 20.32 cm (8) Woofer Drivers in both the cabinets. With iBall Tall Sound H9, the speakers define the power of sound – Loud and Clear. With Dual 16.51 cm (6.5) Woofer drivers in each, along with total power of 160W RMS - The beats are unbeatable, to bring the boom to every party! Sporting the powerful dual bass reflex design, both the Towers perfectly correspond to the components, creating a dynamic sound with each tone mapping a distortion-free deep bass foundation to crystal-clear highs, thanks, in part, the wooden cabinets. Raising the thunder, coupled with groovy, soft and captivating LEDs with 6 changeable patterns, the speakers present the sound show that can also be turned off when not in mood. Bundled with a Wireless Karaoke Mic and a remote controlled access, the speaker brings karaoke sessions live whenever desired. Aided with Bluetooth®, USB, SD/MMC, FM Radio and 2xAUX inputs, your music is a command away. Available with 1 Year warranty the products are already available with leading retail stores across India. iBall Tall Sound H9 is with an appealing MRP of Rs 17,499 only and iBall Twin Tower BTK at MRP of just Rs. 19,999.